The Mojo v3 FPGA uses the optimized Spartan 6 Lx9 and the high performance ATmega32U4. Needless to say this board has no shortage of processing power. The ATmega32U4 comes with a USB (DFU) bootloader which will allow you to install future upgrades to the firmware without having to buy a programmer. Once the board is powered on, the ATmega configures the FPGA from the flash memory. After the FPGA is successfully configured the ATmega enters slave mode. 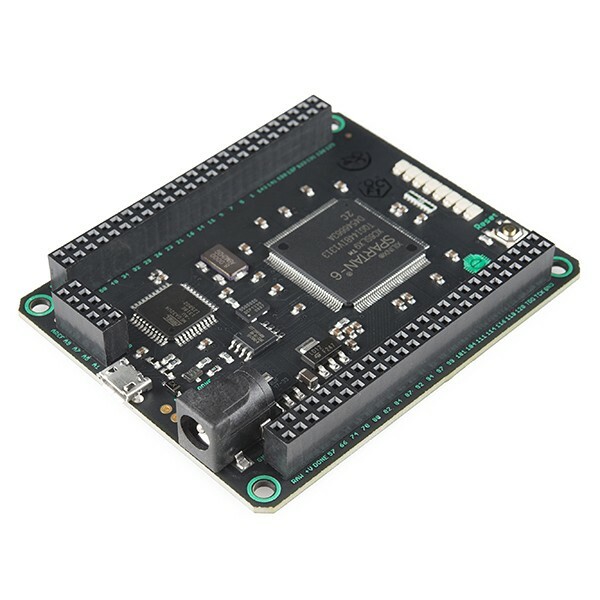 This allows your FPGA designs to talk to the microcontroller; giving you access to the serial port and the analog inputs.